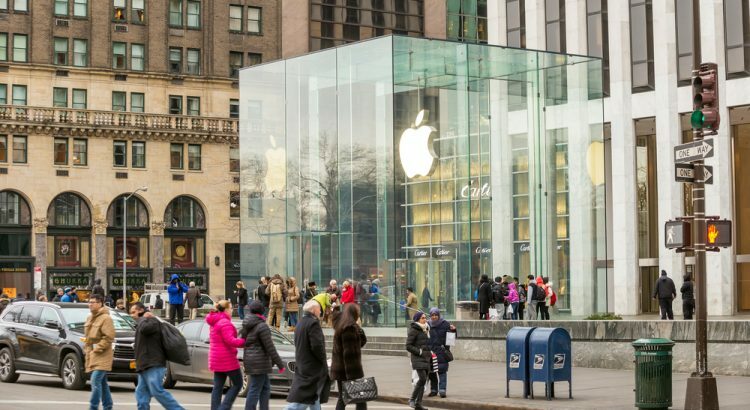 Today, Apple (AAPL) became the first $1 trillion public U.S. company. Its stock jumped 2.8 percent to $207.05 (as of 9:15 a.m. Pacific), taking its gain to 9 percent since this Tuesday, when it released its latest quarterly earnings. Apple management reported higher than expected quarterly results, and mentioned that it bought back $20 billion of its own shares. But in spite of all of the press coverage around this major milestone, Apple is not even the most valuable company in the world. That distinction belongs to fellow tech giant Amazon. How can that be, when Amazon’s market capitalization is only a ‘meager’ 887 billion? The key lies in the metric used to measure a company’s value. Most analysts use “Enterprise Value” rather than market capitalization to measure a company’s value because it accounts for the total operating value of the firm and adjusts for the capital structure of the firm (with equity, debt, and cash). A large part of Apple’s equity value is in the hoard of cash on its balance sheet, which doesn’t reflect the ongoing value of the company. They could use that cash to issue a dividend or buyback shares, but it wouldn’t change how much the actual company is worth based on its potential future profits. In fact, Apple typically buys back shares every quarter. Amazon passed Apple in enterprise value back in June during its meteoric rise and is now worth $80B more than Apple. Amazon and Apple are just two of the tech giants (dare we say “conglomerates”) that now make up the most valuable companies in the world. We took a closer look at the rest of the tech giants and plotted their enterprise values over time using Sentieo’s Plotter tool. Looking at the chart, we can see that Apple (black line) and Google (red line) had been leading the pack since 2016. However, around February of this year, Amazon surpassed them both to become the most valuable, and after some back and forth, broke away at the beginning of June. Facebook (blue line) and Netflix (purple line), while also members of the “FANG” group, actually have much lower enterprise value that Amazon and Apple. This hasn’t been the case since the last dot-com boom in the 1990s, when Cisco was anticipated to become the first trillion dollar company. We plotted a few tech and oil companies to look at how market leadership has changed over the past 10 years. The large grey spike in 2008 represents PetroChina’s peak market cap. In 2006, Microsoft (blue line) had the fourth largest market cap but was still eclipsed by Exxon (orange), GE (black), and PetroChina (gray) — and closely followed by Total (teal). In 2011, Apple (red) came in third place to Exxon and PetroChina. But in 2016, Apple (red), and Microsoft (blue), Amazon (purple) and Facebook (green) all took the top 4 highest market cap spots, dissimilar to the situation today. Based on their monstrous market share, we anticipate that the tech giants will rule for a while — unless another unexpected dot-com crash occurs. Guest Post courtesy of happy Sentieo client and energy expert Philip Dunham . 2016 was a volatile year for oil and gas. WTI traded to lows in the mid $20s, then rebounded to finish the year around $54. 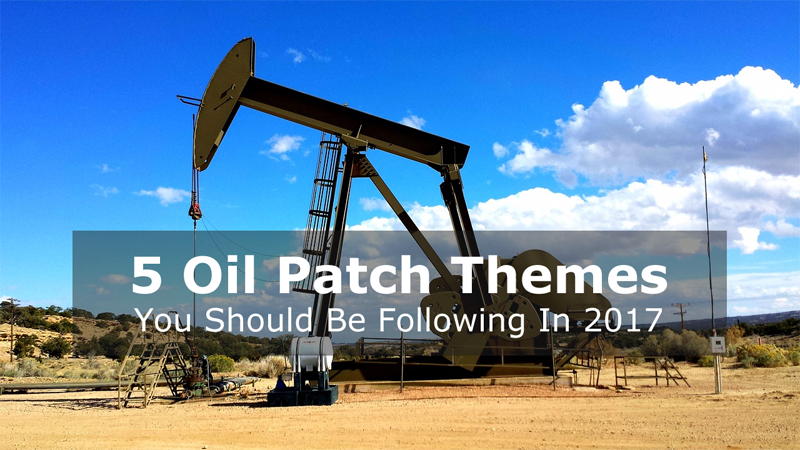 The road to recovery for the energy industry in 2017 can be characterized as cautiously optimistic as WTI prices have stabilized over the past couple of weeks and energy companies have started to slowly hire and ramp activity. The O&G industry reports tons of data in both volume and detail—from drilling rig and pressure pumping data to well production info. Looking for and analyzing all of this information for your investment ideas is a very necessary but time consuming process. 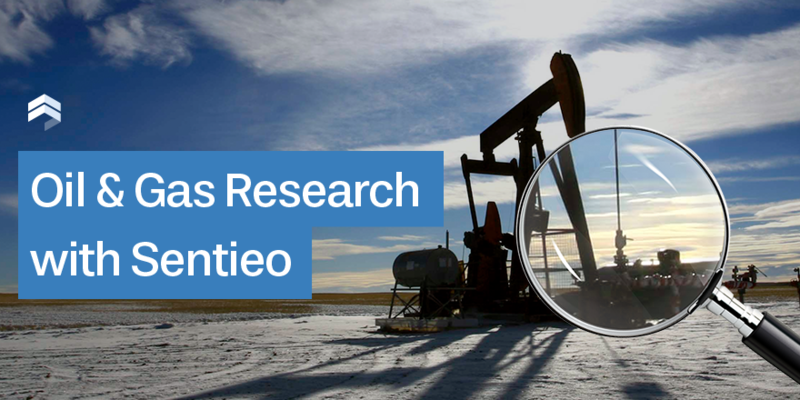 Designed by buysiders for buysiders, Sentieo is the best tool on the market for leveraging technology to rapidly compress your research cycle and give you more time to generate true alpha insights. Which E&P companies might be at risk of defaulting on their loan obligations? Has an E&P operator you are following announced those new well results yet? What would this company specific data would look if I plotted it against other metrics? What are some ways I can use Sentieo to research industry trends? What are companies are saying about break-even oil prices and well-economics? How many drilled but uncompleted wells are in a company’s backlog? One way to perform due diligence on a company is to look at the estimated useful life assumptions behind the depreciation and amortization calculations. Overly optimistic assumptions will inflate reported earnings while overly conservative assumptions will deflate reported earnings. An understanding of the art and science of reserve estimation. This blog post will provide a brief overview of reserve estimation techniques. Technical information on the methodology used and its key assumption. Places to look for technical disclosures would be investor presentations, CORRESP filings, and (occasionally) the 10-Ks / annual reports. However, this process can be tedious whenever investor presentations are difficult to locate.